6 Crucial Interview Question to Ask the Family. Like any form of employment, nanny jobs can be highly positive - or highly negative - experiences. Most often, the deciding factor between a good nanny job experience and a bad nanny job experience is communication. Sharing precisely the same childcare philosophy is typically less important than the ability for both the nanny and the parents to understand what each other expects and to act accordingly. After all, a nanny job only works out well when the nanny and family are well matched. Remember that during the hiring process you too are interviewing. As you interview with families, put the parents to the test. Find out if you'll be able to freely communicate with your hiring family and if you'll be able to understand and meet all of their expectations. If you make an effort to interview the parents, you'll gain valuable insight into the family and job that can be used to help you evaluate if a family is the right fit for you. How do you spend your time with your children? Knowing how the parents and children spend their time together can help you gain insight into how the children may expect you to spend your time with them. As a nanny, knowing what activities the children enjoy and participate in will give you insight into the types of activities you'll be spending your time supervising and taking part in. If you can't tolerate three hours in a noisy video arcade every Saturday morning, for example, now's the time to find out whether or not this will be something you'll be expected to do. Knowing about the parents and children's communication style can also help you gauge how you'll be expected to interact with the children. For example, if parents regularly talk with their children about feelings and emotions, then a nanny could expect the children to talk to her about feelings and emotions – or at least be receptive to it if she talks to them about that same topic. Nannies and parents should complement each other, not necessarily be clones of each other. In fact, if certain fun activities or outings are reserved exclusively for doing with the nanny, or if the nanny has a particular style of communication that is different from the parents', this may help the nanny foster a unique relationship with the children. Additionally, parents may want to exclusively participate in certain activities, such as bedtime story reading, with the children. Be sure to ask the parents what activities they don't want you to do. It is crucial that you find out how misbehavior is managed by the parents and how the nanny would be expected to manage it. There are innumerable discipline strategies, so you'll want to ensure that you are well aware of the strategy that the parents use and that you are comfortable with implementing it. Under no circumstances, however, should you ever physically discipline the children. Regardless of the parents' existing philosophy, a nanny should never spank the children in her care or engage in any other form of corporal punishment. Knowing how your potential employers relate to people - and how they will relate to you - is important. Despite spending most of your working hours with the children, their parents are the people whom you will report to. During your interview, ask parents about how they communicate with each other throughout the day. If they share updates via text messaging, perhaps that's how you'll be asked to update them as well. Different nannies and employers will communicate in different ways. Some will send periodic text messages, others will check-in by email and still others will have a daily midday phone call. Having a weekly meeting can help ensure that the lines of communication stay open. Knowing the type and amount of communication that the parents will expect of their nanny can help give insight into how much or how little your daily interactions would be. What Should I know About Health and Safety in this Household? Now is the time to find out about any and all special health conditions and medical needs that the children may have. Most importantly, you'll want clarification on any specific responsibilities, like administering medications, which would be required of you. Children can have a wide variety of medical conditions, ranging from mild asthma to epilepsy. Use the interview to develop a strong sense of what is involved in maintaining the children's health and safety in and outside the home. Now is also the time to ask about overall household safety. While you may have been raised with extreme health and safety consciousness, or you may have held nanny positions in the past with safety-minded employers, your potential employers could have a much more relaxed attitude about safety. Regardless of their attitude, it's important to communicate that their children's safety would be your number one priority. You'll also want to know practical things like if the family has a full first aid kit available or if they have an emergency readiness plan. Regardless of how easygoing your potential employer is, it's important that you, as the nanny, be well-prepared for emergencies. What, exactly, will my duties be? To help you evaluate if a nanny position would be right for you, you need to know exactly what is expected of you. You'll want to know what your specific duties and responsibilities are and what the parent's expectations of you are. If being able to transport the children in a vehicle is important to you, now is the time to confirm that transporting the children will be allowed. If the duties mentioned seem out of your comfort zone, then let the family know. They may be open to revising their list of nanny duties. 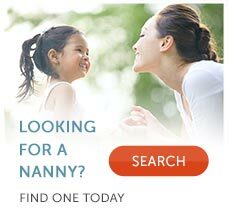 While online nanny referral services and nanny placement agencies provide a helpful resource for connecting nannies and families, as well as recommending good matches, only you can determine if a family is a good fit for you. What role do you envision your nanny playing in your family? Not all employers will view their nanny's role in the family the same. Some families will welcome their nanny into their lives as they would a family member, others will consider their nanny a valued professional, while still others will clearly make the distinction that the nanny is "hired help." Understanding how the parents may view your role can help you determine if the position is a good fit for you. You'll also want to know what type of care the parents expect of their nanny. Some parents envision being a parenting team, where there nanny is involved in all aspects of raising the children. Other parents expect to give their nanny a detailed schedule and routine that she will implement each day. Still others, typically when both parents travel extensively, prefer that the nanny take the lead and serve as a primary caregiver when they are away from the home.